What Does Bernie Mac's Death Mean? Bernard (‘Bernie Mac') McCullough died this weekend from complications of pneumonia. 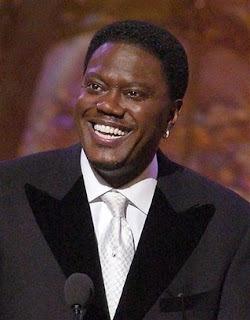 Back in 2006, Bernie Mac was hospitalized at which time they released his diagnosis. 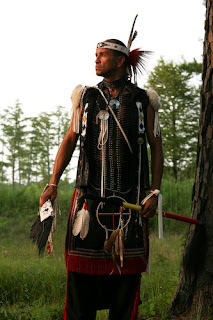 He had been sick for years with a condition formally known as Sarcoidosis. It is reported that Sarcoidosis was the underlining factor in his death. Sarcoidosis is a common disease that can go undetected because it can be mistaken for several other diseases. The disease may produce inflammation in the form of bumps or discolored areas which are granulomas. It may affect the skin, liver, lymph glands, spleen, eyes, nervous system, heart, brain and kidneys, but it most often starts in the lungs. Although anyone can get sarcoidosis, the risk is greater if you are a young black adult and no one knows why. When I initially heard about Bernie Mac’s illness a couple years ago, I would check news sources frequently for his progress. It was very personal because I’m a sufferer of sarcoidosis, too. In late November 1994, I woke up in a pool of blood on my pillow. My first thought was that maybe I had a nose bleed while I was asleep (by the way, I’ve only had one nose bleed in my life when I was in the second grade). I ran to the bathroom to try to determine the source. When I opened my mouth, I could see that my tongue was stained with blood. I, then, called my physician who asked that I come in. After a series of test within the month, which included a scraping of my lungs, I was diagnosed with Sarcoidosis. The only treatment plan rendered was Prednisone (steroids) which I attribute to my puffy look and cheeks. At that time, I had many questions that the doctor could not answer. Of course, my number one question was “how did I get it”? Although physicians are unable to pinpoint the source of the condition, I’ve always blamed living in Atlanta as the culprit. Atlanta’s air is extremely polluted with pollen in the spring, so much so, that you can actually see it. Cars are covered in green at the beginning of each day, therefore, creating poor air quality. I first moved to Atlanta from Charlotte, NC in April 1991. After being diagnosed in 1994, I began to look at what is now obvious as my symptoms. For one, I always sounded like I had a cold and needed to clear my throat often while talking. Even though, I didn’t feel ill, I was always sluggish and tired. I could never get enough rest. Also, I had a lump on my leg which grew into the size of a baseball. Even though I kept having it removed, it would grow back bigger than the last time. Lastly, my skin would become irritated easily. For instance, it would be hard for me to get a relaxer (perm). If you were a frequent viewer of Cara Live, you probably noticed that I changed hairstyles often. When I am plagued by sarcoidosis, I have to cut my hair in order to deal with it. Fortunately for me, my hair grows back quite fast. In October 1996, I made a decision to move back to North Carolina. In 1998, my voice finally cleared up and I no longer sounded as if I have a cold. Secondly, I had the growth removed again in 2001 and it hasn’t grown back. Finally, my last episode with my skin/hair was in 2006. So, I’m in remission. Until now, my closest friends were not even aware that I’ve been sick. When I try to explain it, I find it difficult to make anyone understand especially when I look like the picture of health. Coincidentally, two weeks ago, my best friend and I were discussing it. So, they ask that I put a face to the disease, “can you tell me someone famous that has it?” Bernie Mac was the first person that came to mind. My hope is that Mr. Mac’s death brings heightened awareness and additional research for a condition in which little is known, but is so prevalent in the African-American community.